1. What do bed bugs look like? Bed bugs are very small, just over 1/8-inch long, and light to deep brown with flat, oval bodies. They are sometimes mistaken for ticks. After feeding, it will swell up and become red in color. The eggs are translucent and barely visible, and newly hatched bed bugs are about the size of a poppy seed. 2. Can bed bugs fly? No. Bed bugs cannot fly. They "travel" by hitching a ride on people's belongings when they are set down in infested areas, then moving with them to a new location to start a new infestation. 3. What cities have the most bed bugs? Although reports vary according to the source, generally listed among the top bed bug cities according to the most recent reports, are Philadelphia, Cincinnati, New York City, Chicago, Detroit, Los Angeles, Denver, Columbus Ohio, and Washington D.C.
4. Why have bed bugs reappeared all of a sudden? It was just a bedtime rhyme when I was a kid! Although no one is completely sure why bed bugs reappeared in such numbers beginning in the 1990s, the Center for Disease Control and Prevention (CDC) suspects that the resurgence is associated with increased resistance of bed bugs to available pesticides; greater international and domestic travel; lack of knowledge regarding control of bed bugs due to their prolonged absence; the continuing decline or elimination of effective vector/pest control programs at state and local public health agencies. 5. Can I get a disease from a bed bug bite? No. Although a bed bug bite can be itchy and irritating, theses bugs are not known to spread disease. 6. Will bed bugs bite during the day? Yes. As nocturnal insects, bed bugs are most active at night. However, they will also move around during the day, and if they need to feed and a person is nearby, the bug is as likely to bite during the day as a night. 7. What do bed bug bites look like? 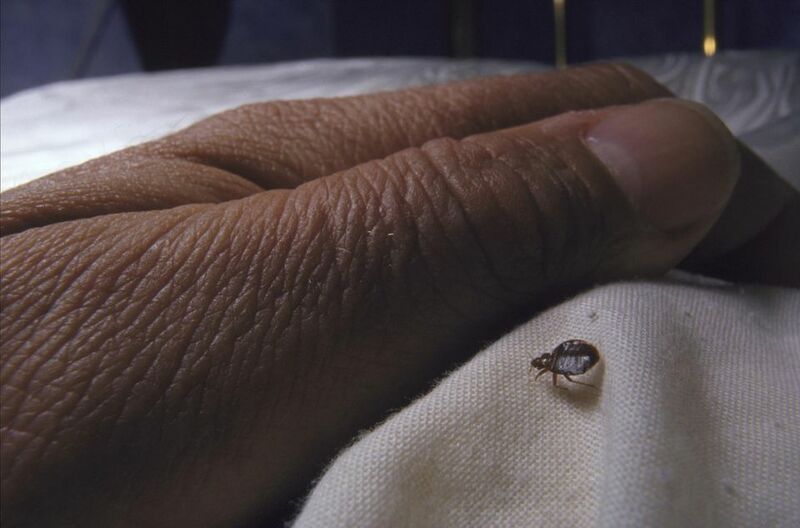 Bed bugs will bite multiple times, and even before biting will "test" several areas to find the best source of blood. Thus, the bites often appear in a line or cluster near one another. The bit area may also become inflamed and itchy due to an allergic reaction to the bed bug saliva. 8. What should I do if I get bitten? Because bed bugs do not transmit disease, it is not necessary to seek medical treatment. If the bites are causing stress or severe irritation, follow the suggested Treatments for Bed Bug Bites from Pediatrics Expert Vincent Iannelli, M.D. 9. Do bed bugs only live in or on beds? No, bed bugs can live in upholstered furniture, behind headboards, baseboards, and even pictures on the wall. In fact, second-hand furniture should always be thoroughly inspected and/or serviced for bed bugs before bringing it into your home. 10. Why are they called bed bugs if they can live anywhere? Bed bugs need blood meals in order to develop and live. They are attracted to humans by the carbon dioxide we breathe and the warmth we put off. When we are in bed sleeping, we are an easy target – less likely to feel the tiny bugs on our skin and brush them off. And once they finish feeding, bed mattresses have plenty of hidden places for the little bugs to hide and procreate. 11. How do I know if I have bed bugs? Signs of bed bug presence include live or dead bugs, shed skins, and blood spots on mattress or bed linen are signs of a bed bug infestation. Bites leave small welts, similar to that of a mosquito, on exposed skin. 12. If I keep my home clean, will that prevent bed bugs? No. Bed bugs do not discriminate between dirty and clean homes, rich or poor, young or old. If they are carried into your home, they will seek out a place to hide and begin to breed. However, having a clean home will provide fewer places for bed bugs to hide, thus making service easier should you get an infestation.